All the dishes are prepared using the freshest ingredients and that including the freshly squeezed coconut cream. 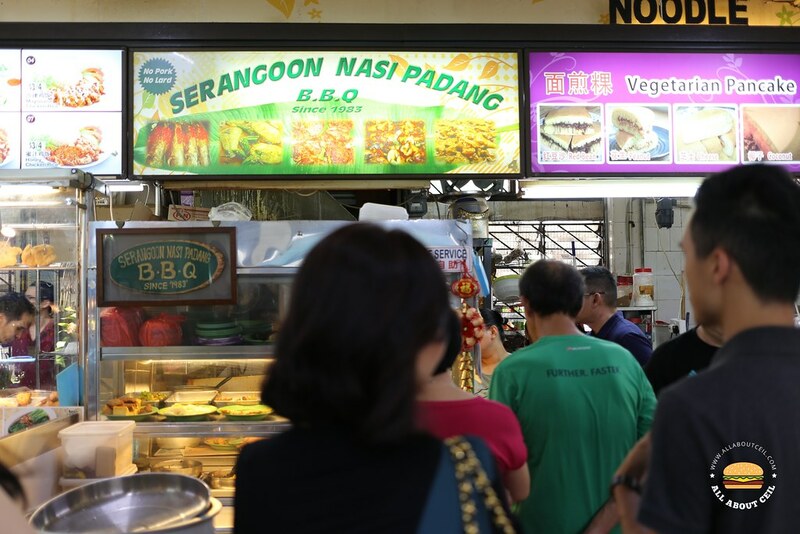 Most than 30 dishes are prepared each day and some of the popular choices are curry fish, fried chicken, grilled sotong, grilled fish and so on. These dishes are prepared in small batches to serve warm and also to ensure its freshness. The queue was long when we were there for lunch on a Sunday. While queuing, we were eyeing the last few pieces of the egg omelette on the display shelf but did not get to order as the last piece was taken by the customer in front of us. We ordered 2 plates with different dishes. We were asked whether we want it with gravy and chilli. 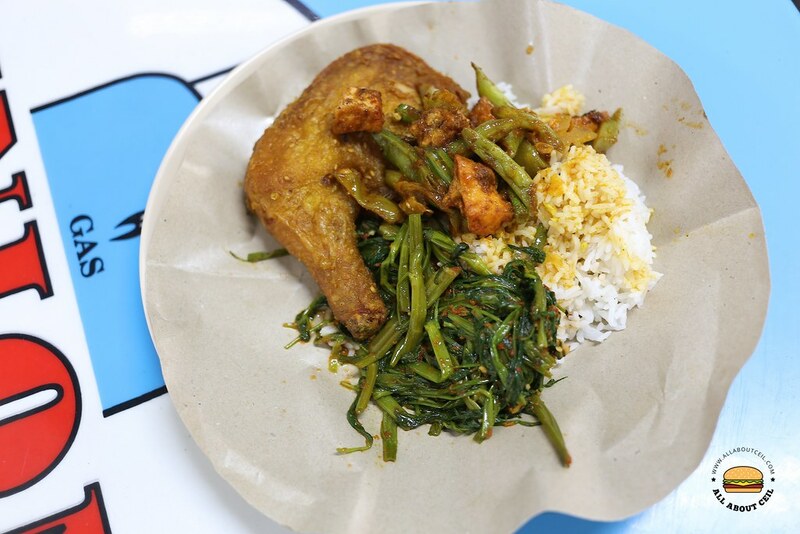 The first plate consists of Ayam Goreng, Sambal Goreng, and Sambal Kangkong. Ayam Goreng, a Malay-style fried chicken dish, is the must-order right here. The best part would have to be the chicken leg. It was well-marinated and fried to perfection to achieve the desired crispiness on the outside but still juicy within. This is one of the most sought-after dishes here as almost every of the customer ordered it. The Sambal Goreng was nice too, it comprises of french bean, fried beancurd and tempe, stir-fried with Sambal Chilli, the spiciness was rather mild. The Sambal Kangkong was not too bad as well. 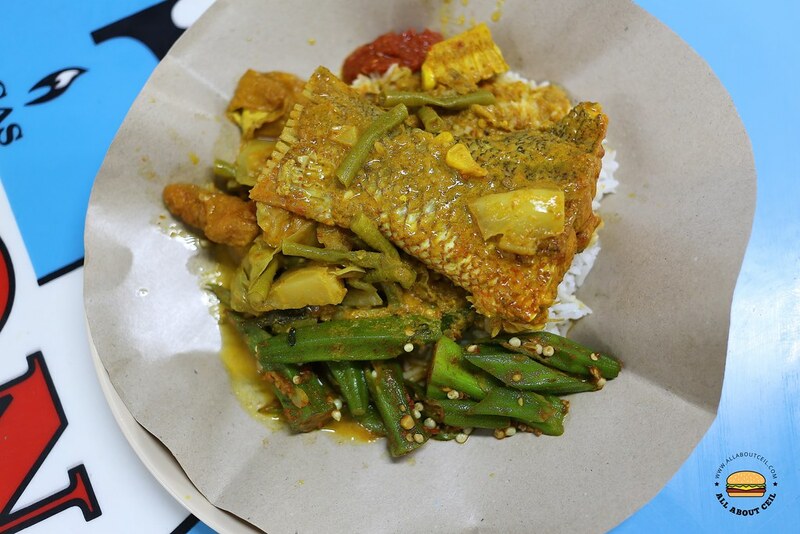 The second plate consists of Curry Fish, Curry Vegetable, and Sambal Ladyfinger, a request was made for the tail part of the fish. The Curry Fish was nicely cooked and it retained a firm texture with a robust savory flavor, the spiciness of the curry was rather mild. The Curry Vegetable and Sambal Ladyfinger have a very homely taste. We paid $11.20 for both plates. The best timing to be there would be before noon as most dishes would still available at that time and also to avoid the long queue.